This post presents a Free Time Converter Application for Windows which allows you to convert from Milli Seconds to corresponding Seconds, Minutes and Hours. Yes you can even convert from Seconds, Minutes and Hours to Milli Seconds. 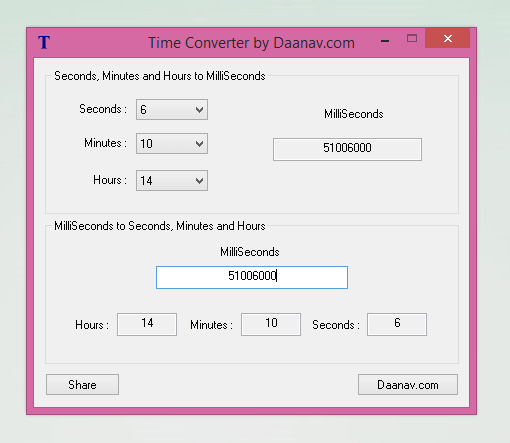 1000 Milli Seconds is counted as 1 Second, 60 Seconds are counted as 1 Minute and 60 Minutes are counted as 1 Hour by this Free Time Converter Software for Windows as displayed in the screenshot below. Time is measured in various units and some software applications allow entering of time interval only in Milli Seconds. Out of many Application which allow users to enter time duration in Milli Seconds is Auto Mouse Click by MurGee.com. Yes it is a great application and works as advertised, however many time you might need easy to use time interval conversion between various time measurement units and this Time Converter Software fills in the gap providing easy conversion between various time interval measurement units. 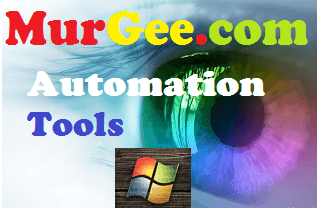 Yes there are Some Software Applications like the Best Auto Clicker which allows you to enter the Time Interval in Milli Seconds, Seconds, and Minutes, but still a handy Time Interval Conversion Application can be really useful when using Automation Applications or any other Time Duration based Applications. Download and use this Time Converter Software for Free on your Windows Computer. Yes this Time Converter works on Windows XP and other Microsoft Powered Operating Systems like Windows 8.1, Windows 8, Windows 7, Windows Vista, Windows 2000, etc. You can alternatively get Time Converter for Mac which is also a Free Software Application and works on Mac OS X 10.6 and later versions. The Above Video Tutorial displays how you can Install and Run Time Converter on your Windows Computer, do Time Conversion and verify that the Time Conversion has been done successfully. 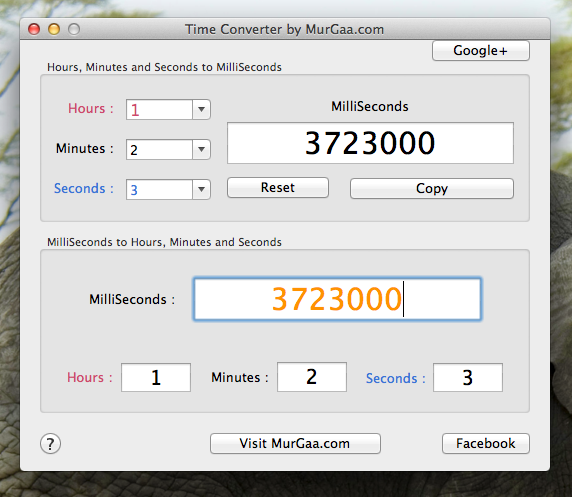 Note that upper half of the Time Converter Screen allows you to select Seconds, Minutes and Hours and displays total number of Milli Seconds, whereas the bottom half of the Time Converter Software allows you to enter Number of Milli Seconds and view the corresponding Hours, Minutes and Seconds. How to get the Most out of Windows 8 Tips, Tricks and Tutorials providing information on how to use various features of Windows 8. Click Fast or let your Mouse Auto Click ? Auto Clicker not working in Game ? Get Custom Built Software as per your requirements. Visit Goa Software Solutions Website, hire software developers and get your software implemented by professional software developers.